Steve Martin at the finale. American Idol Season 8 Finale. 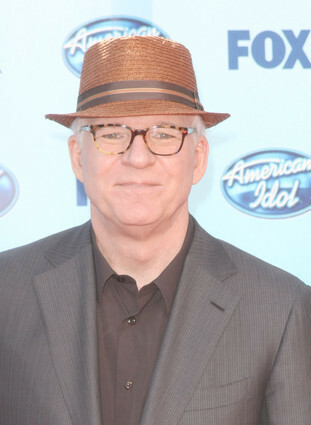 Wallpaper and background images in the 아메리칸 아이돌 club tagged: american idol season 8 finale steve martin. This 아메리칸 아이돌 photo contains 페도라, 펠트 모자, homburg, 스텟 슨, 트릴, 훔굼, 스테 트론, 트릴 비, 페도라 펠트 모자, 홈 부르 크, stetson, trilby, 신사복, 비즈니스 정장, 캠페인 모자, and 운동 모자.